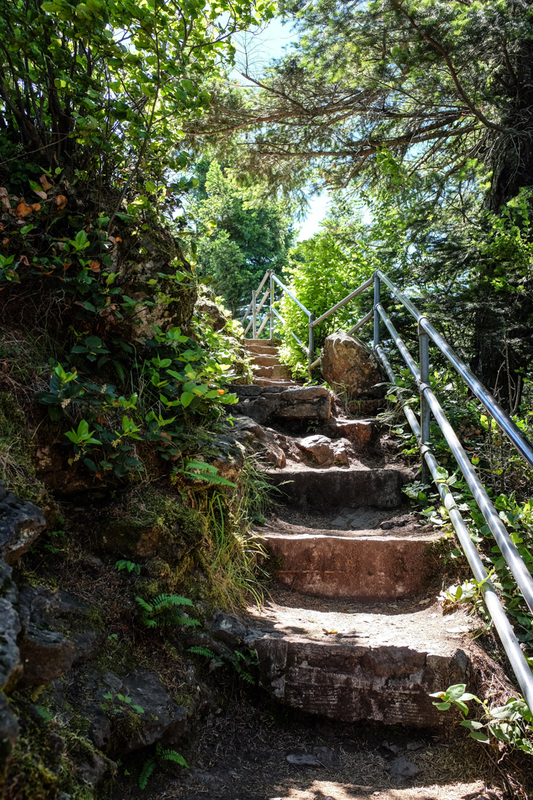 This morning after breakfast (spinach blueberry smoothies) we headed over to hike Beacon Rock. 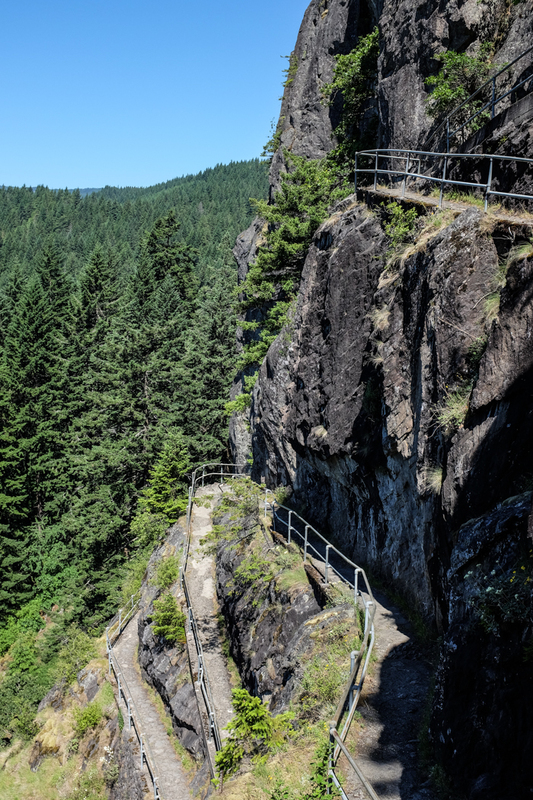 Beacon Rock earned its name when Captains Lewis and Clark camped in its shadow on their way to the Pacific Ocean in 1805. 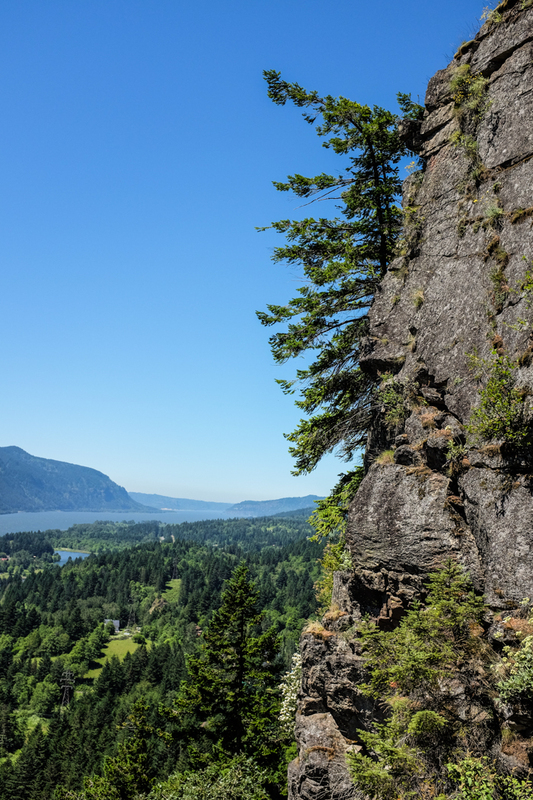 The rock is an 848-foot basalt column that formed the core of an ancient volcano. 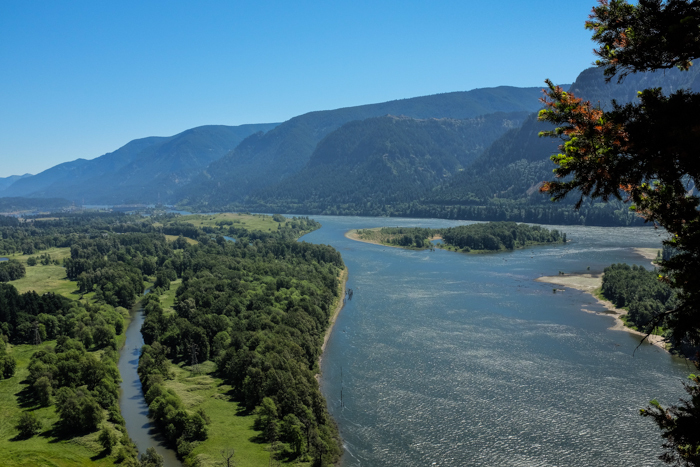 It towers over the Columbia River, and its sheer walls were unscaled until 1901-the date of the first recorded ascent of the rock. 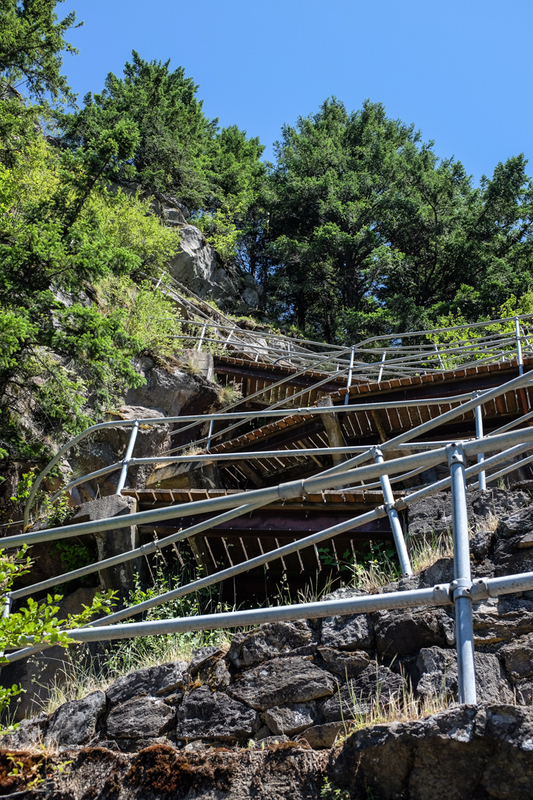 Notably, that first climb followed the route now covered by the intricate system of paths, bridges, and stairs that make up the trail today. The hike begins as a gentle walk through the forest as the trail leads hikers around to the southern face of the rock. 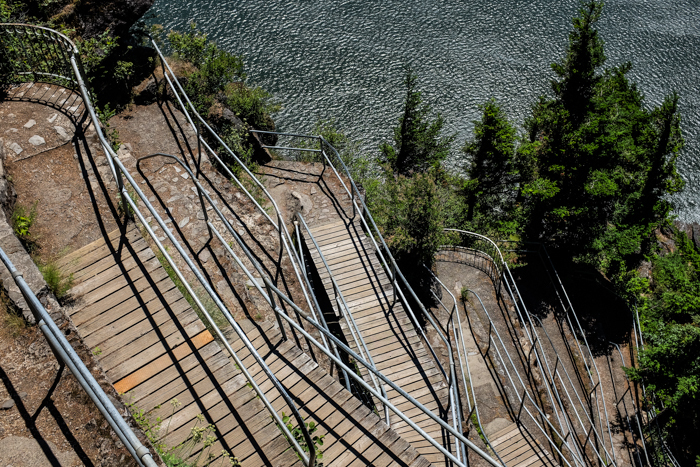 Then the climbing begins. 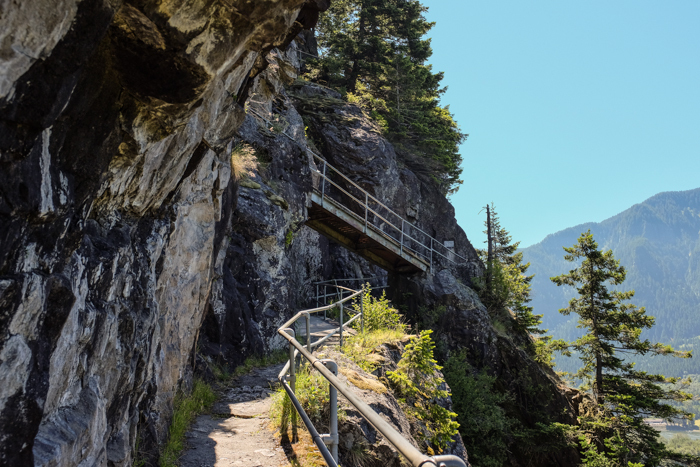 Traversing and climbing sheer rock walls, the trail is daunting to consider but easy to hike. 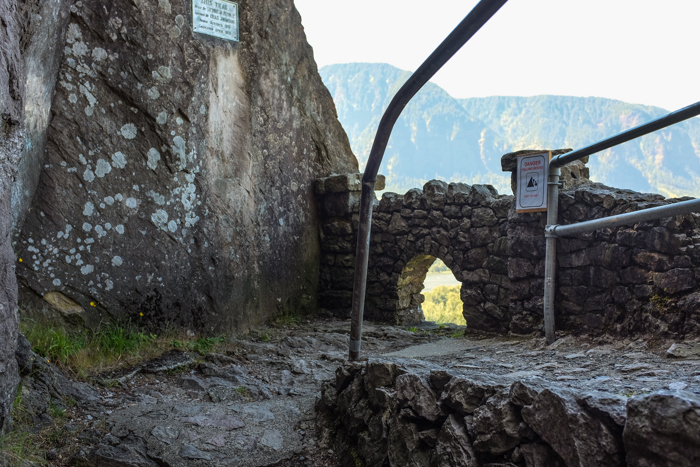 The ironworks that make up the bridges and stairs are solid and well braced on the indestructible rock face. 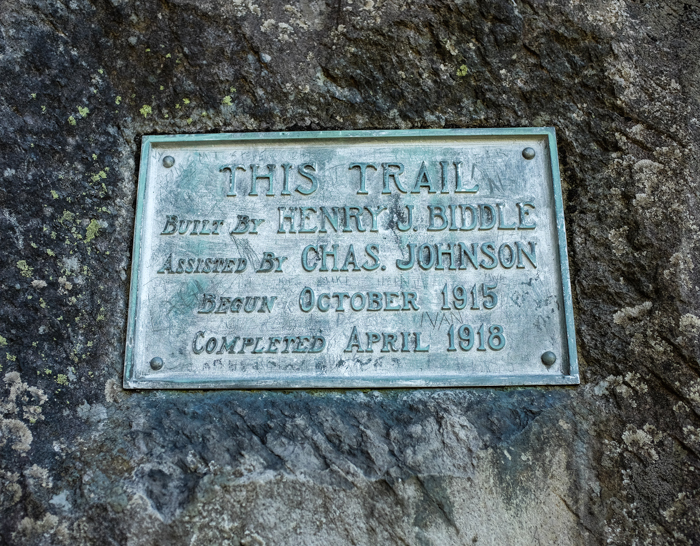 The trail was built between 1915 and 1918 by Henry Biddle, who owned the rock and all the land about it at the time. 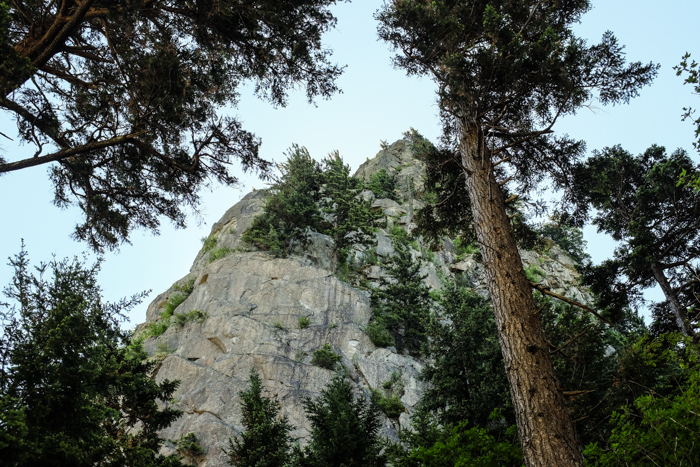 It was a gorgeous hike, and not at all as difficult as it looks like it might be as you're standing at the base of the rock. We finished up the afternoon with a little blind beer tasting down at the clubhouse as part of the Brewfest here at Timberlake Campground. (We liked the homebrewed Bourbon Vanilla Porter best, of course!) We really love this place. There's live music going on tonight out on the lawn, and there are three other Airstreams in the park. We recommend this campground highly!